Search Engine Optimization: a concept so foreign and complex to most, yet so impactful to the success of a business, brand, and service. Without SEO, your business may have no chance to receive the recognition from users who are searching for it. Without SEO, we as consumers may never be connected with reliable and valuable services and products. There is beauty in SEO being difficult to implement, for without this, search engines would be filled with companies trying to climb the ladder to the top of a Google search, regardless of content. With the booming digital marketing industry, this form of online marketing is crucial. So what exactly is search engine optimization? The truth is in the name. According to Wikipedia, “Search engine optimization (SEO) is the process of affecting the online visibility of a website or a webpage in a web search engine’s unpaid results—often referred to as “natural,” or “organic,” or “earned” results”. Essentially, how will a company successfully optimize search engines, such as Google, to ensure they have a strategic, yet natural online placement? For the purpose of this blog, let’s dive deeper into the organic side of search engine optimization. Once again, the truth is in the name—for something to be organic, it must be “characterized by continuous or natural development,” according to Wikipedia. 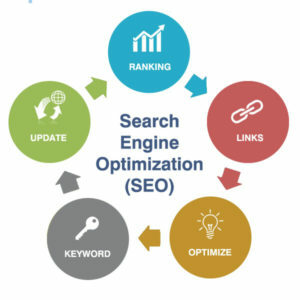 After combining SEO and organic, a complex yet necessary online marketing concept arises on the basis of using strategic words, phrases, and actions to drive search engine traffic to websites. The question still arises, why is organic SEO so necessary? The answer is simple. There are millions of websites. How will a business become successful if it doesn’t invest in the necessary long-term organic search engine optimization strategies to stand out to those seeking it? Organic SEO reaps benefits after the investment has been stopped, that is, if it has been successfully implemented. Now, this doesn’t mean a company should stop optimizing their website. It means that a steady, natural, organic, following of users is drawn to the website due to the initial SEO efforts. That is primarily why companies and brands invest millions to hire organic SEO gurus to ensure their online presence attracts the people who are searching for them. They are investing in their business’s visibility and profitability. When a business’s or brand’s online presence gets traffic through organic searches on Google, they are ensuring they are getting compatible traffic that benefits both the user and the business. In the most simple of terms, organic SEO solidifies the content on websites by ensuring they have the specific but authentic content that users are seeking. The case for organic SEO is compelling and strong, yet companies can be slow to implement it due to the significant investment, patience, and technique. For more information on how ZAG FIRST can help optimize your web contact, contact us.